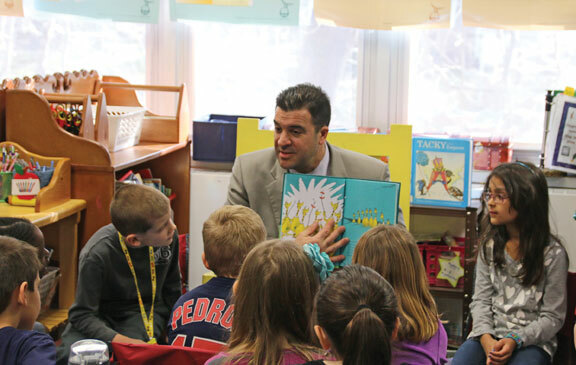 REGION 16 — Region 16 Superintendent of Schools Michael Yamin has a new, three-year contract. The contract, which was approved by the Board of Education last week, runs from July 1, 2018 through June 30, 2021. “The big thing for us is that we’re keeping him for three more years under contract,” school board Chair Robert Hiscox said. Under the contract, Yamin’s base salary will increase 3.5 percent to $185,878 in the 2018-19 fiscal year. His base salary will be renegotiated before the second and third year of the contract. The contract also pays Yamin $6,000 a year toward a retirement plan and $7,000 a year for a transportation allowance. “I’m honored and flattered that they (school board members) have confidence in me and are happy with the work that we’re producing,” Yamin said. Yamin will receive the same medical benefits as certified administrators in the region, which is comprised of Beacon Falls and Prospect. The administrators’ contract that runs from July 1, 2018 through June 30, 2021 offers employees the choice between a PPO plan with a $400/$800/$1000 deductible or a High Deductible Health Care plan and health savings account with a $2,000 deductible for an individual and a $4,000 deductible for two people or more. The board will pay 76.25 percent of the cost for the PPO in the first year, 75.75 percent in the second year and 75.25 percent in the third year, according to the administrators’ contract. The board will pay 82.5 percent for the high deductible plan in the first year, 82 percent in the second year and 81.5 percent in the third year, under the administrators’ contract. Under the new contract, Yamin’s fringe benefits include 20 sick days per fiscal year, which can be accumulated to a maximum of 200 days, and 25 vacation days a year. The contract states Yamin will be paid half of any accumulated sick days when he no longer works for the region, and for up to 10 unused vacation days a year. The vacation days don’t rollover unless approved by the board, according to the contract. Yamin’s current contract, which was approved in 2016, was set to run through June 30, 2019. The board negotiates his salary before every fiscal year starts and decided to redo the contract. Essentially, the new deal adds two years to the current contract. Hiscox said Yamin has done an outstanding job for the region. He credited Yamin with establishing curriculum continuity and raising educational expectations in the district. Hiscox added that Yamin has done a fantastic job with the region’s finances and seen to it that all the buildings and grounds are kept up and safe and sound. “Overall, we are very, very pleased with the job that he’s done,” Hiscox said. Yamin, a Cheshire resident, was hired as superintendent in 2014. He spent the bulk of his educational career in the Waterbury public school system prior to being hired in Region 16. He was the director of special services and pupil personnel in Waterbury, and also spent five years as principal of Kennedy High School in Waterbury. Yamin said his goals for the next three years include improving student performance and providing opportunities and personalized learning experiences for all students. Once again, the board of education has no clue and disrespects’ the taxpayers on such a large raise in this most difficult fiscal times. Worth 100k, not 200. What a joke. And every time we vote no for a region 16 budget we’re told we don’t support our kids and education. Please tell me what makes Mr Yamin worth close to $200K per year?